A spacious three bedroom terrace house situated in a cul de sac location. 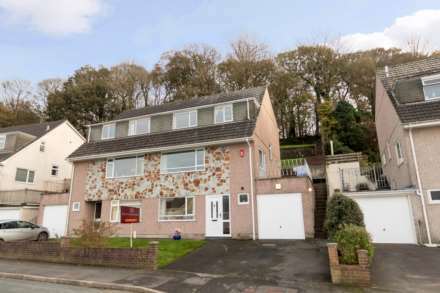 Beautifully presented by the present owners the accommodation comprises: entrance hall, lounge, fitted kitchen/diner, three bedrooms, bathroom and separate WC. Outside is an enclosed rear garden backing on to the woods. Other benefits include gas central heating and double glazing. Viewing is highly recommended. Double glazed entrance door. Natural wood effect laminate flooring. Stairs to the first floor with understairs storage cupboard. Radiator. Double glazed window to the front aspect. Radiator. Door to the dining area. Double glazed French doors to the rear garden. Radiator. Open plan to the kitchen. Base and eye level storage cupboards with roll edge worktops. Inset stainless steel one and half bowl sink and single drainer with mixer taps. Tiled splashbacks. Plumbing for washing machine. Large walk in storage cupboard. Wall mounted gas boiler. Double glazed window to the rear. Built in airing cupboard housing the hot water tank. Access to the loft space. Storage cupboard. Double glazed window to the rear. Fitted wardrobe. Radiator. Double glazed window to the front. Radiator. Natural wood effect laminate flooring. Double glazed window to the front. Overstairs wardrobe. Natural wood effect laminate flooring. Built in storage cupboard. Suite in white comprising: Bath with shower unit over, wash hand basin. Tiled splashbacks. Double glazed window. Heated towel rail. Low flush WC. Double glazed window. At the front of the property is a terrace garden with an outside storage shed. The rear garden has a paved patio leading on to the garden laid to lawn. Storage shed. Outside tap.